Good blogging habits (for businesses) will not only create interest in your customers for reading useful content, it will also naturally and authentically build trust and relationships. In this economy, having a healthy and trusting relationship between your business and your customers is vital. Blogging is a multi-functioning tool that offers education, a platform for dialogue and interaction (through comments), and subtle marketing for your business. 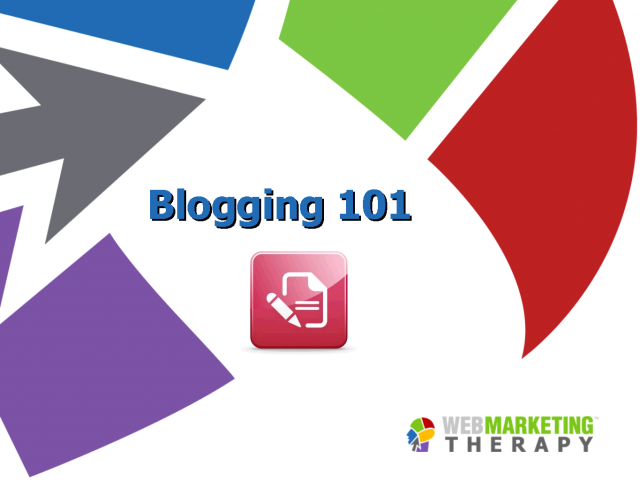 Learn the power and benefits of blogging and how regular blogging can boost your business! 3. How to blog beautifully! (tips on blogging)—keyword usage, using hyperlinks, categories, using other social platforms to spread the word on the new blog posts (blog feed, RSS feed…etc). Marketing best practices and strategies are constantly evolving--making it essential for you as a business leader to change with it. Learn how you can implement the latest marketing best practices to get your marketing healthy so you can get wealthy.